Above picture: This color contour map shows the difference between CGVD2013 and NAVD 88, especially of interest to those who work on projects along the U.S./Canada border. In part 1 of this series in xyHt’s October issue, Canada’s new vertical datum is introduced—CGVD2013— with an overview of past Canadian datums, directions during the current transition period, and specific changes to expect once implemented. We end this series here with details on the impacts of height differences between the Pacific and Atlantic oceans on various users, conversion tools for determining orthometric heights, and an outlook for the future. The implementation of CGVD2013 corrects for distortions in CGVD28 that range between -65 cm to +55 cm nationally. By constraining CGVD28 to sea level, the assumption was made that the Pacific and Atlantic oceans at the gauges were at the same zero elevation. In fact, the Pacific Ocean near Vancouver is about 55 cm higher (relative to the geoid) than the Atlantic Ocean near Halifax. This original assumption, as well as other systematic errors (e.g., inaccurate gravity data and vertical crustal motion), have created long-wavelength errors in the datum. The geopotential value adopted by the U.S. and Canada causes the new Canadian vertical datum to lie below the coastal Pacific sea level (near Vancouver) by 17 cm and above the coastal Atlantic sea level (near Halifax) by 38 cm. This apparent aberration represents the difference between local MSL and the global MSL and is referred to as Sea Surface Topography or Dynamic Ocean Topography, and it ranges roughly from -1.5 m to +1.5 m globally. So, the variations seen between the Pacific and Atlantic coasts are within the norms and can be accounted for using models. require precisions of less than 10 cm over distances of tens of km (e.g., lidar surveys) must consider the separation when transforming between the two datums. Users who transfer heights with precision of less than 2 cm over small regions (e.g., municipal infrastructure) should also consider the difference, but generally the application of a local offset should suffice. The easiest approach for conversion will be to make use of a grid reflecting the difference between CGG2013 (realization of CGVD2013) and HTv2.0 (which represents CGVD28). Similarly, the separation between NAVD 88 and CGVD2013 can be achieved by calculating the difference between CGG2013 and U.S. hybrid geoid model GEOID12A (which represents NAVD 88). The limited precision of the conversion should be carefully considered in view of user requirements. Ultimately, for the highest accuracy conversions, the best approach is to conduct GNSS surveys on bench marks. perform a real time kinematic (RTK) survey using corrections from public or private providers with reference stations integrated into NAD 83(CSRS). Thus, there are several options for determining ellipsoidal heights (h). Once an ellipsoidal height is established through GNSS, it is only a question of subtracting the geoid height (N) from the geoid model CGG2013 instead of any previous models that you used. The resulting orthometric height (H) will immediately be in the new vertical reference system for Canada: HCGVD2013 = h – NCGG2013. Bench marks represent the leveling era for the realization and maintenance of the vertical datum. Even though Canada has adopted a new vertical datum, CGVD2013 still represents a discontinuity at the border with the U.S., as their vertical datum remains NAVD 88. Surveyors and hydrologists studying water basins that span over the two countries are still required to apply height transformations in order to work in a common vertical datum. The separation between NAVD 88 and CGVD2013 is a systematic error of unknown origin in NAVD 88 that increases from 0.26 m on the east coast (Halifax) to 1.19 m on the west coast (Vancouver). It represents approximately an error of 0.2 mm per km. This discontinuity will be significantly reduced within the next ten years as NGS completes the GRAV-D project, which is to collect airborne gravity data across the conterminous U.S.A., Alaska, Hawaii, and territories with some overlaps with Canada and Mexico. At that time, the U.S.A., Canada, and Mexico will collaborate on a North American geoid model that will serve as a consistent vertical datum surface from pole to equator and Hawaii to Newfoundland. Additional partners may include many countries throughout the Caribbean and Central America to ensure continuity in the model throughout the entire region. That new geoid model is not likely to be identical with CGG2013 but should be very consistent with it due to the use of common Canadian gravity data sets outside of a 100 km range from the U.S.A./Canada border. In the near term, the U.S. seeks to develop a model of the systematic errors in NAVD 88 to provide at least a first-order means of transforming to CGVD2013. The release of CGVD2013 represents a significant change in the realization of the vertical datum in Canada. However, it does not signify an end. Although the geoid-based CGVD2013 is an improvement over the levelling-construct CGVD28 that will fulfill most users’ requirements in terms of relative precision, the geoid model CGG2013 still has room for improvement. To support this, the U.S. and Canada will continue their cooperation in geoid modeling. In particular, the GRAV-D project will play a significant role in the refinement of geoid models in the U.S. and Canada. This project will ultimately culminate in the realization of a seamless vertical datum for North America by 2022 that will include not only Hawaii and U.S. territories and Canada, but also Mexico, the Caribbean region, and part of Greenland. Furthermore, the International Great Lakes Datum of 1985 (IGLD 85), which was co-defined with NAVD 88 during the NAVD 88 adjustment but expresses heights in a dynamic system (differing from an orthometric system by applying a different gravity correction), will also be replaced by the 2022 seamless vertical datum for North America. Like IGLD 85, the new IGLD will be co-defined during the creation of the new vertical datum in 2022. A standardized application will allow the conversion of orthometric heights to dynamic heights. 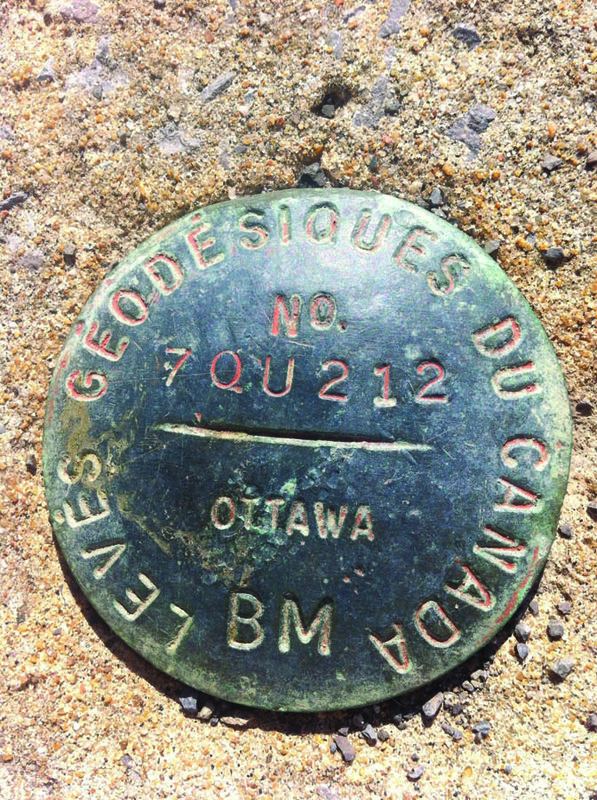 Marc Veronneau is a geodesist at the Canadian Geodetic Survey. He's currently the project leader for the Gravity and Heights Systems Unit and responsible for the implementation of the new geoid-based vertical datum for Canada. Jianliang Huang is a research scientist at the Canadian Geodetic Survey. Dru A. Smith has been the chief geodesist of NOAA's National Geodetic Survey since 2005. In 2008 he led the development of the GRAV-D plan, and in 2012 led the development of the NGS Ten Year Plan (2013-2023). Daniel R. Roman is the team lead for Geoid Modeling and Research. He is also the principal investigator for GRAV-D project and is serving as the acting chief, Spatial Reference Systems Division at the NGS, responsible for maintaining access to the geometric aspects of the National Spatial Reference System.